The human voice is an incredible instrument! We can use it to express the deepest of emotions from happiness to despair. Or we sing just to have fun with friends and pass the time. However we use our voices, it affects us in very personal ways. To some of us, singing is a “great escape”, an adventure! What fun!!! In my studio the goal is to instruct, promote and nurture the human spirit through singing. It’s said that anything worth doing is hard work and that’s true for singing – but singing well is worth all the effort we put into it. Singing requires some courage, to be open to trying new ideas, to take a chance! 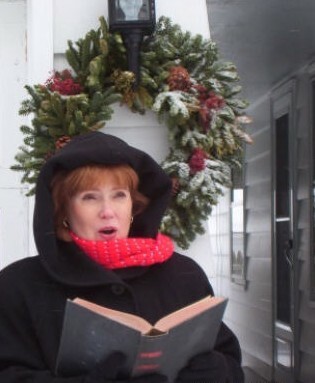 In Elmira, NY there are many, many talented singers. I’m privileged to teach a number of them in my studio. We just finished our class lessons for February and I see a lot of growth in both stage-craft and technique with every class. Congratulations to my singers on great performances!! Comments Off on Sing for your Summer! in Elmira, NY begins in July!! 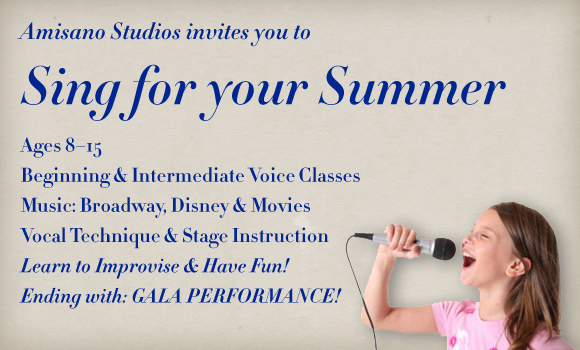 If you are interested in beginning voice lessons or piano lessons, Summer Music Camp is a great place to start! Contact AmisanoStudiosNY at (607) 733-9749 for more information. 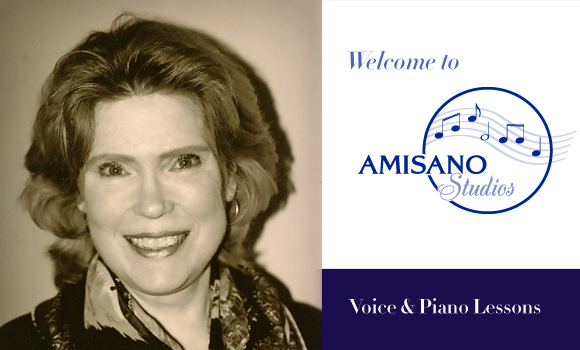 Susan Amisano, a graduate of Ithaca College School of Music, founded Amisano Studios in 1985. The home studio began with neighborhood children, but soon grew to include students from Elmira, Corning, Horseheads and Pennsylvania. Today students, from elementary school to adults, come from all over the Southern Tier to learn to sing or play piano. While learning musical skills, students also learn physical co-ordination, poise and self-discipline. Lessons are taught in a nurturing environment that fosters self-confidence and improves the ability to learn. Piano students learn to play, using traditional methods, as well as experimenting with jazz and improvisation techniques. All types of music are explored. Voice students learn healthy techniques to support and control the voice. Language skills, memorization, sight-reading and stage crafts are also part of the program. The students of Amisano Studios have won numerous awards and scholarships to colleges and musical programs. Many students of Susan Amisano have gone on to careers in music and the arts. She is grateful to be able to pass on her knowledge and love of music to the next great generation of musicians. Voice Students learn healthy techniques to support and control their voice and increase their sound!!! Lessons are taught in a nurturing environment that fosters self-confidence and improves the voice student’s ability to perform. Piano Students learn to play using traditional methods as well as experimenting with jazz and improvisational techniques. While learning musical skills, piano students also learn physical co-ordination, poise and self-discipline. 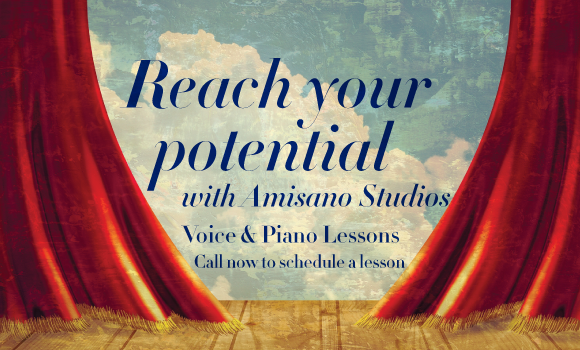 If you would like to schedule a voice or piano lesson, please send an email to samisano@stny.rr.com or call: (607) 733-9749.